This inviting barn is large enough for a growing family. The covered entry leads to the open concept main living, stairway and mudroom areas. The large master bedroom suite includes a master bath and walk-in closet. The stacked stairways lead down to the basement and up to two large bedrooms and a full bath. A loft area at the top of the stairs overlooks the cathedral main living areas. 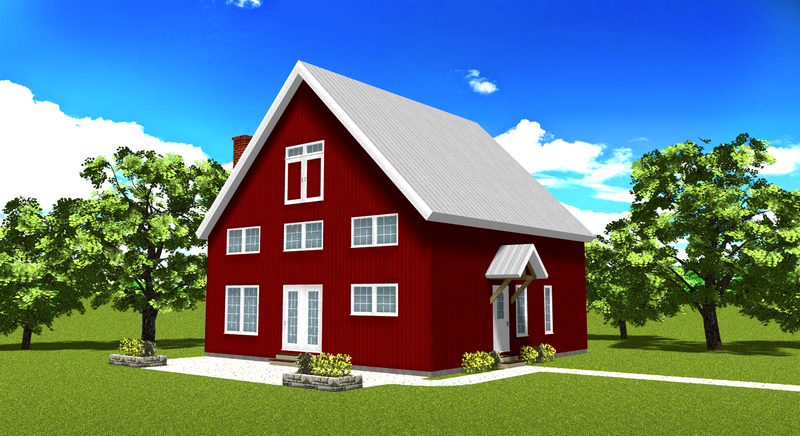 This barn design captures both warmth and comfort is a classic design.